Please make sure the part number, series number and model number are all matching your original adapter. 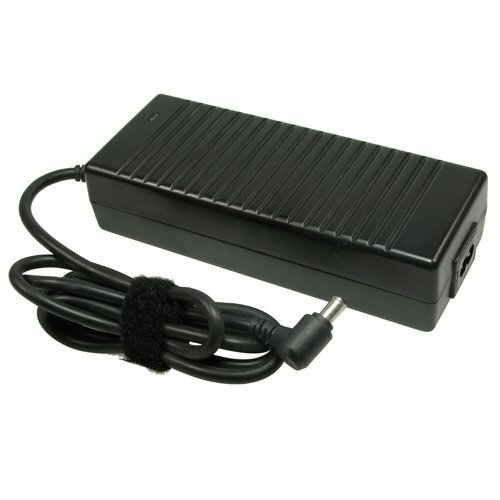 Model : 3554958874Input : AC100-240V (worldwide use)Output :19.5V 6.15A 120WConnector : Internal Diameter: 4.4mm External Diameter: 6.5mm With pin insideCondition : 100% Brand NEW, Replacement AC AdapterWarranty : One yearCompatible Part Number:PCGA-AC19V7 / PCGA-19V7 / PCGA-AC19V6 / PCGA-AC19V13 / PCGA-AC19 / Fits Following ModelsSONY VAIO VGN Series: VGN-A / VGN-A130 / VGN-A150 / VGN-A160 / VGN-A190 / VGN-A260 / VGN-A290 / VGN-A690 / VGN-A790 / VGN-B100BSONY VAIO PCG-NV Series: PCG-NV55/BP / PCG NV55E/B / PCG-NV77M/BP / PCG-NV90 / PCG-NV90E / PCG-NV95EN / PCG NV99E/B / PCG-NV99M/BP / PCG-NV100 / PCG-NV170,PCG-NV170P / PCG-NV190 / PCG-NV190P / PCG-NVR23SONY VAIO R5 series: PCG-R505 Series: PCG-R505BF / PCG-R505D / PCG-R505DL / PCG-R505DS / PCG R505DSK / PCG-R505DSP / PCG-R505E / PCG-R505EL / PCG-R505EL/B / PCG R505EL/S / PCG-R505ELK / PCG-R505ES / PCG-R505ESK / PCG-R505ESP / PCG R505GC / PCG-R505GL / PCG-R505GLK / PCG-CCN2 / PCG-R505ELKIT / PCG R505ESKIT / PCG-R505ESPKIT / PCG-R505GLPRO / PCG-R505EC / PCG-R505G / PCG-R505SONY VAIO FR series: FR285 / FR315 / FR395 / FR415 / FR495 SONY VAIO PCG-FRV Series: PCG-FRV23 / PCG-FRV25 / PCG-FRV25Q / PCG-FRV26 / PCG-FRV27 / PCG-FRV28 / PCG-FRV31 / PCG-FRV33 / PCG-FRV34 / PCG-FRV35 / PCG-FRV35Q / PCG-FRV37 / PCG-FR55/B / PCG FR55E / PCG-FR55E/B / PCG-FR77E/B / PCG-FR130SONY VAIO PCG-GRS Series: PCG-GRS51M / PCG-GRS100 / PCG-GRS150 / PCG-GRS150K / PCG-GRS150P / PCG-GRS515 / PCG-GRS515R / PCG-GRS615SPSONY VAIO PCG-GRT Series: PCG-GRT25F / PCG-GRT35F / PCG-GRT100 / PCG-GRT100K / PCG-GRT100P / PCG-GRT102A / PCG-GRT150 / PCG-GRT150 / PCG-GRT160 / PCG-GRT170 / PCG-GRT230 / PCG-GRT240G / PCG-GRT250 / PCG-GRT250K / PCG-GRT250P / PCG-GRT260G / PCG-GRT270 / PCG-GRT270G / PCG-GRT270K / PCG-GRT270P / PCG-GRT280ZG / PCG-GRT290Z / PCG-GRT290ZP / PCG-GRT360ZG / PCG-GRT380ZG / PCG-GRT390Z / PCG-GRT390ZPSONY VAIO PCG-GRV Series : PCG-GRV616S / PCG-GRV616G / PCG-GRV550 / PCG-GRV600 / PCG-GRV670 / PCG-GRV670P / PCG-GRV680 / PCG-GRV680PSONY VAIO PCG-GRZ Series: PCG-GRZ270 / PCG-GRZ515 / PCG-GRZ515G / PCG-GRZ530 / PCG-GRZ600P1 / PCG-GRZ600P3 / PCG-GRZ600P6 / PCG-GRZ610 / PCG-GRZ620 / PCG-GRZ615M / PCG-GRZ615S / PCG-GRZ630 / PCG-GRZ660SONY VAIO GRX series: PCG-GRX51/BP / PCG-GRX52/GB / PCG-GRS71 / PCG-GRX72 / PCG-GRX81G/P / PCG-GRX90/P / PCG GRX91G/P / PCG-GRX92G/P / PCG-GRX102/P / PCG-GRX520 / PCG-GRX520/B / PCG GRX520K / PCG-GRX520P / PCG-GRX550 / PCG-GRX560 / PCG-GRX560/B / PCG GRX560K / PCG-GRX560P / PCG-GRX570 / PCG-GRX580 / PCG-GRX580K / PCG GRX580P / PCG GRX590 / PCG-GRX590R / PCG-GRX590RP / PCG-GRX600 / PCG-GRX650 / PCG GRX650/B / PCG-GRX670 / PCG-GRX690 / PCG-GRX700SHIPS FROM USA :DO NOT WAIT FOR WEEKS!SAME DAY SHIPPING (If paid before 4:30PM EST)* Items will be shipped after the payment has been received. All items ship out 5 pm EST. If you made the payment before 4:30 pm EST it will go out the same day otherwise it will go out the next day. Tracking information will be emailed to you when it becomes available, If You do not receive shipping notification in 48 hours, please contact us at support@hmltrade.com* Please check your address on your PayPal before you make the payment. We will require confirmed address if the total amount is over $200 USD. * We are not responsible for any loss or damages in the mail if the item is not insured. We Do not provide local pick up service, shipping cost is not negotiable. * APO and FPO addresses are not eligible for delivery confirmation, these shipments are not eligible for the insurance considerations above, and we do not accept any responsibility for lost item cases or delayed shipment cases for shipments to these destinations.) * Delivery time for USA: It will take 2-3 working days for US Postal Service Priority Mail to deliver, it will take 3-5 working days for US Postal Service First Class Mail to deliver according to www.usps.com. We are not responsible for service transit time. Transit times are provided by the US Postal Service, exclude weekends and holiday. * Delivery time for CANADA and the rest of the WORLD: We will use US Postal Service Priority Mail International for packages over 12oz. It will take 7-13 days for US Postal Service Priority Mail International to deliver. We will use US Postal Service First Class Mail International for packages and envelopes weight less then 12 oz. it will take 9-22 days for US Postal Service First Class Mail International to deliver. We are not responsible for service transit time. Transit times are provided by the USPS, exclude weekends and holidays, delivery time may vary depending on the country which you are in. Buyers are responsible to pay any customs or duty related to transactions. * We accept only PayPal as a payment method! PayPal payments go to paypal@hmltrade.com* Please make sure your shipping address is correct. * Please make sure your shipping address is correct. * We will only follow your address listed in the Paypal payment for the shipment. * We have no responsibility for shipping address provided. Due to the secure reasons, we are not allowed the address change through email. * Payment must be received 5 days after the product ended. * Please do not buy if you are not intend to buy. Unpaid dispute will be filed to eCRATER for the non payable buyders . * All new products come with 12-months replacement warranty unless advertised differently in the warranty section of the item description. All used and refurbished products come with 30 days warranty. * Buyer is responsible for all return shipping charges. * Defective items must be reported within 7 days upon receiving the items. * Defective item must be returned within 14 days from the date you received your order. (eCRATER ID and item number must be included)* Returned items must be as the same condition as received. ( checked and packaged in good condition) * Shipping/Handling/Insurance costs are not refundable* Products returned in other than above condition will not be exchanged or refunded*If you have any questions we will be happy to assist you. Please send your emails to support@hmltrade.com we will answer your questions within hours including weekends and holidays. Email is the fastest and preferred way to communicate but we receive calls at(973) 594 6585Happy looking!Powered by eCRATER . List your items fast and easy and manage your active items.